Last week after the Deseret News piece ran, I got a call from a charming older woman in Mesa, Arizona. She had seen the piece in the DesNews and thought I might find some relevance in the history of her great-grandfather, William Morley Black. Yup, we're that close to the pioneers. She sent a copy of his brief memoir, which recounted some of his early days as a Forty-niner. Black came west as part of a joint stock venture company headed to California, and stumbled into Utah on July 24, 1849. You may recount from other earlier posts here that the first "Pioneer Day" celebration was on that date. A party of 49ers from Boston said the Pioneer Day feast was a finer spread than they had seen in Boston. So I was interested in what Mr. Black would have to say. He stayed with a fellow called Buck Smithson, and asked if he might eat with the Smithson family. Buck replied, "I am fearful our simple supper would not please you gentlemen. We can give you a supper of milk, meat and pigweed greens, but bread we have none. You see the flour we brought with us a year ago has given out, we have not had bread for three weeks, and have no hopes of any until our harvest comes off." William Black of course was packing flour and cornmeal for his journey to California, so he opened his pack and gave Smithson a pan of flour. In return, he "partook of as relishable a meal as I have ever eaten." Of course Mr. Black converted to Mormonism, became a polygamist, and eventually fathered dozens of children by five wives. 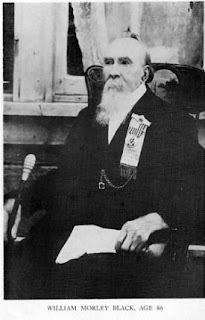 He passed away in 1915 at 89 years of age. 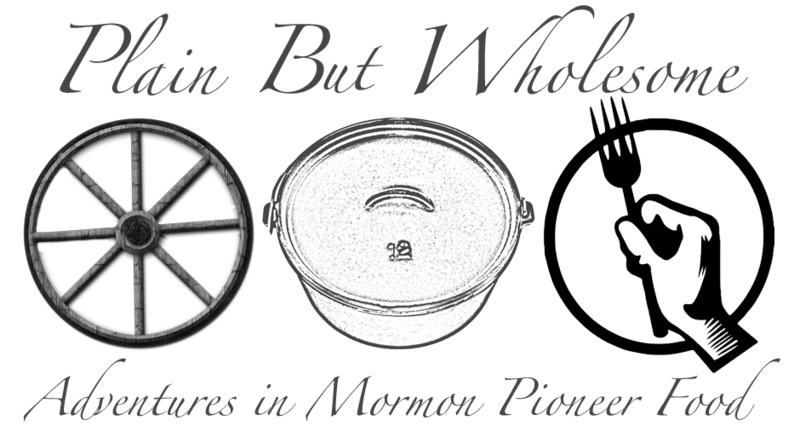 I think it interesting that two different accounts of that first Pioneer Day give different perspectives about what sort of food was available after two years in the Valley. I wonder which was more typical, or more representative of the general state of things. I have a feeling it is the impoverished station of Buck Smithson. How about a link to the Desnews piece for those of us not in Utah? Many thanks!